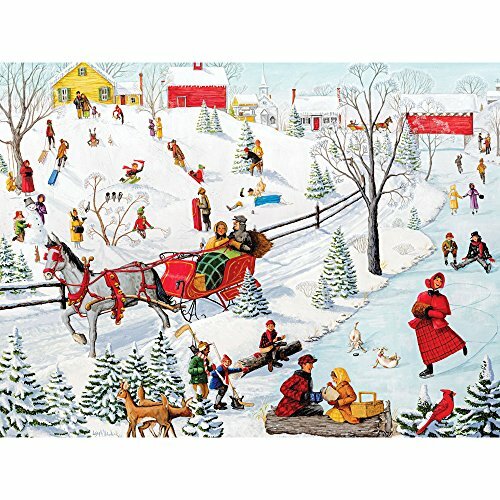 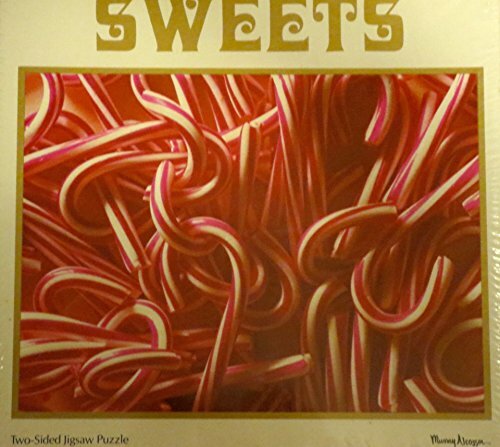 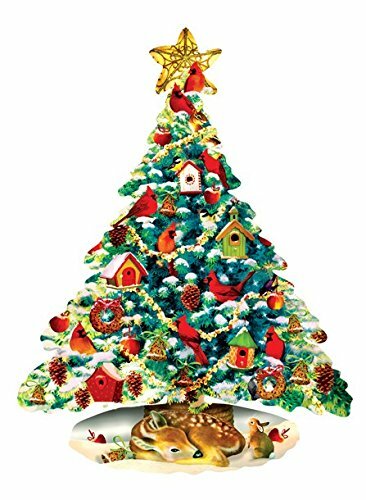 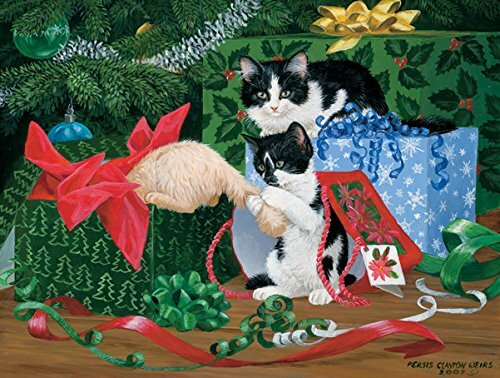 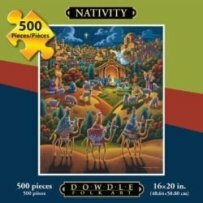 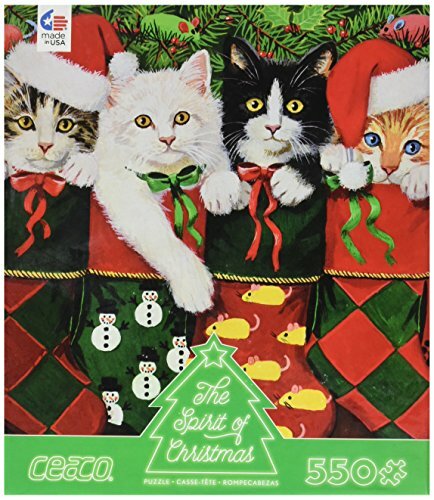 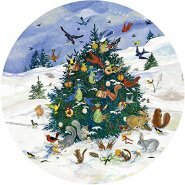 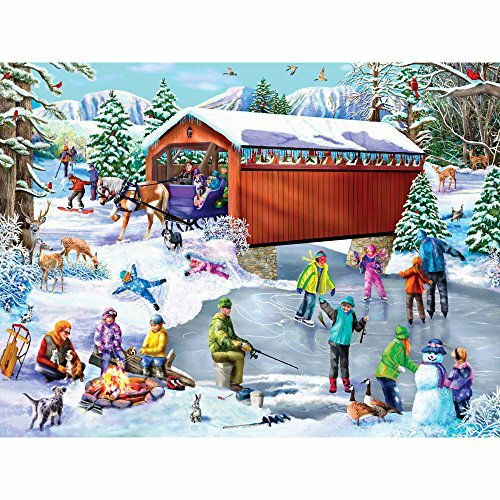 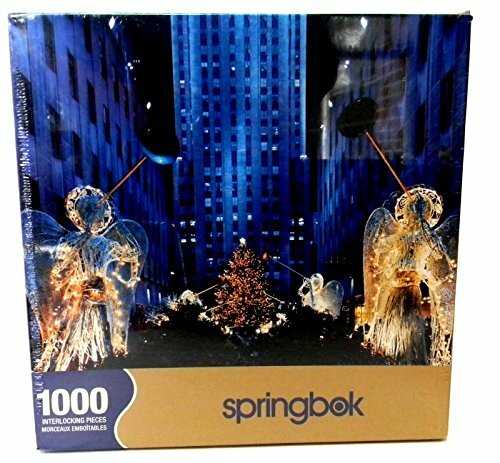 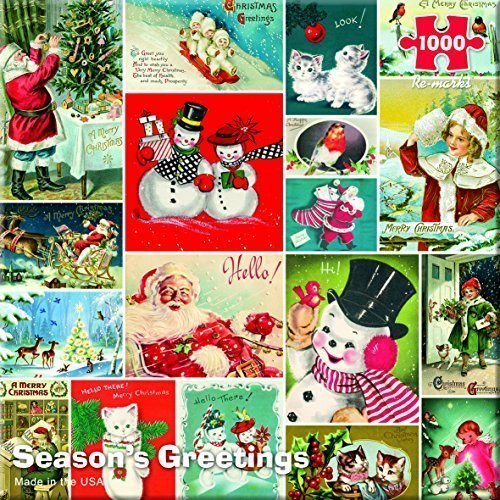 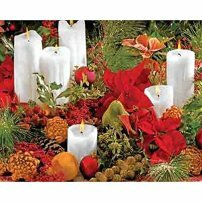 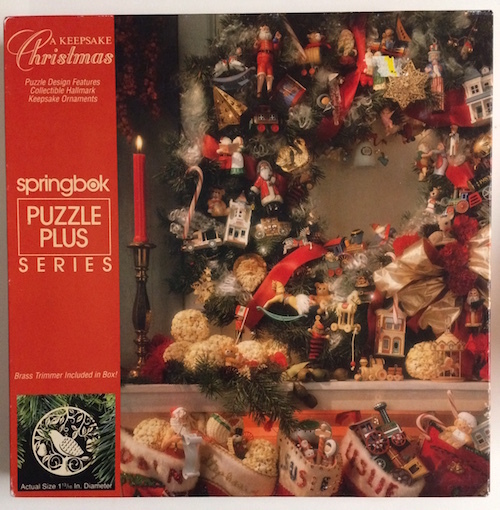 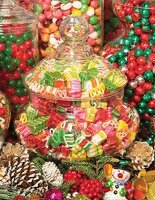 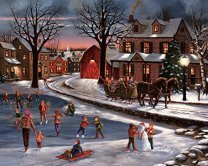 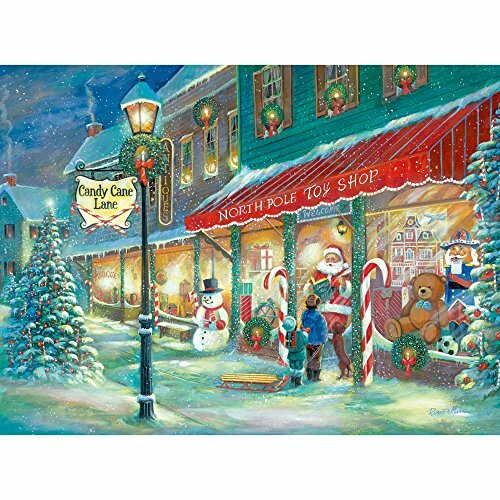 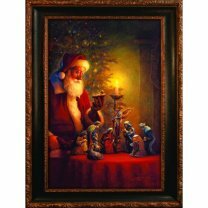 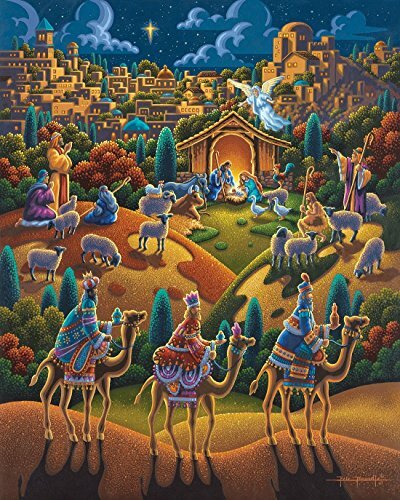 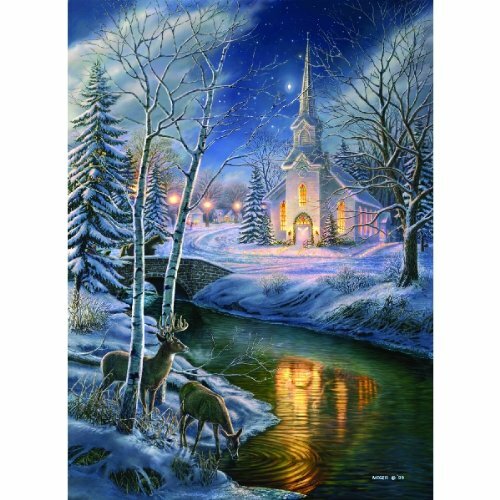 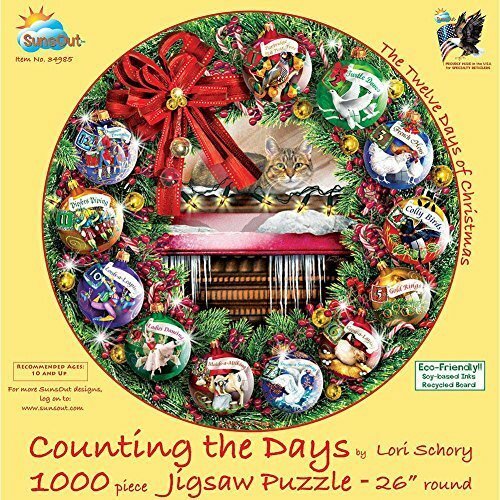 The Christmas Keepsake jigsaw puzzle is a Springbok, 500 pieces, measuring 18x23.5" showing No. 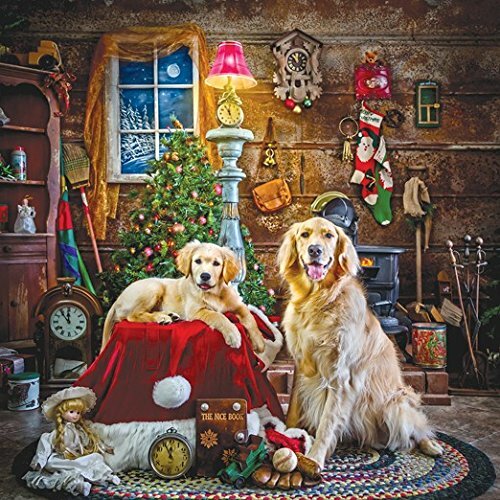 XZL3443 which is photo styled by Kim Warner and photographed by Steve Wilson. 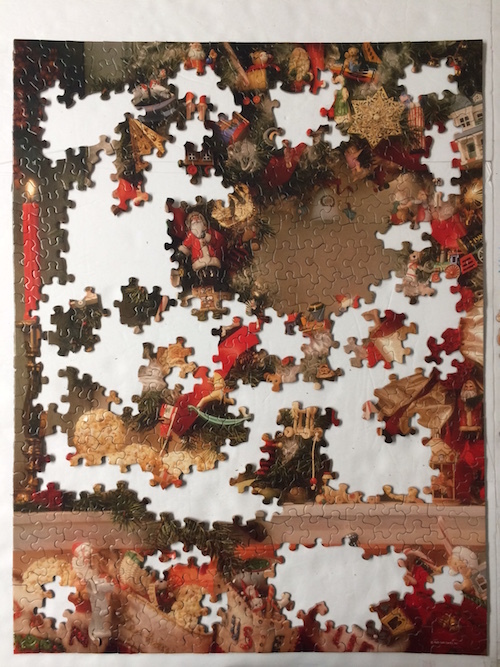 My one work-in-progress (wip) shows that I started with the brown patch inside the wreath and as much of the shelf beam as possible. 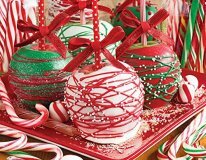 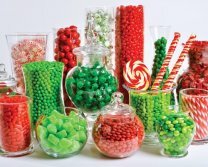 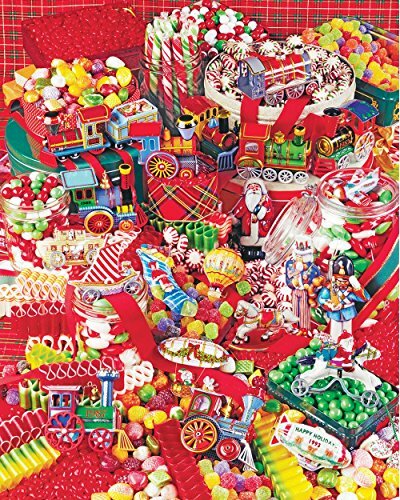 After that I assembled the popcorn and red/white ribbons along with some of the larger ornaments. 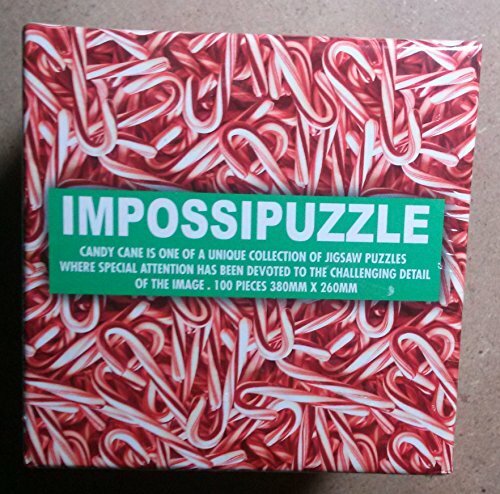 From that point on it was basically looking for odd shapes to locate the matching colors to complete the image. 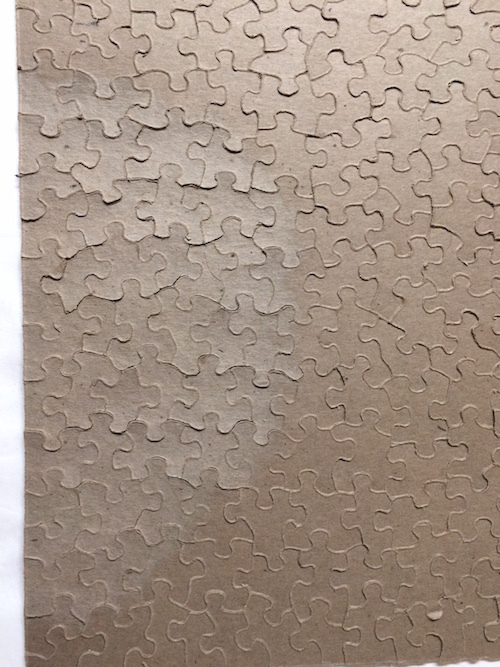 Also, it looks like this Springbok puzzle ran into some water damage as you can see on the image to the right the lighter beige circular area on the back causes some slight damage and swollen pieces on the front. 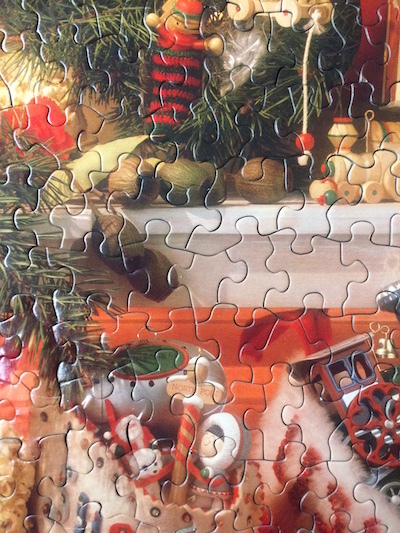 But even that did not spoil the Springbok puzzle experience! 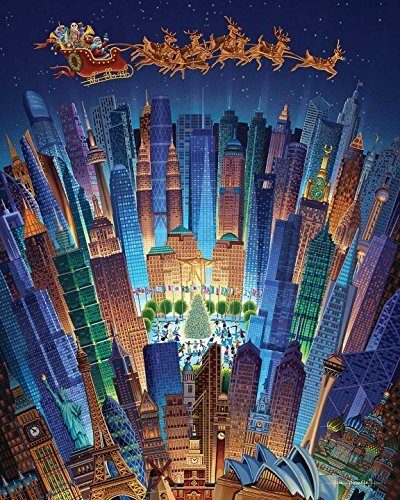 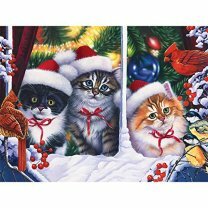 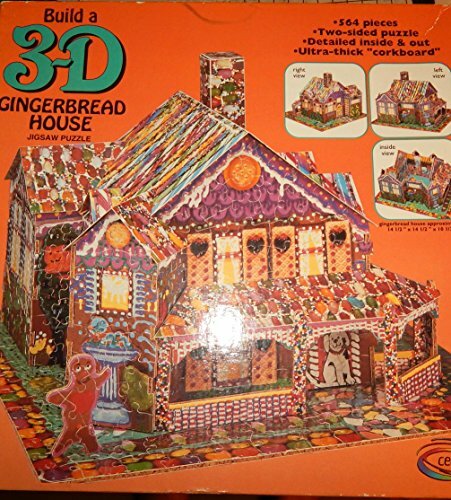 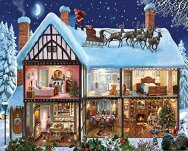 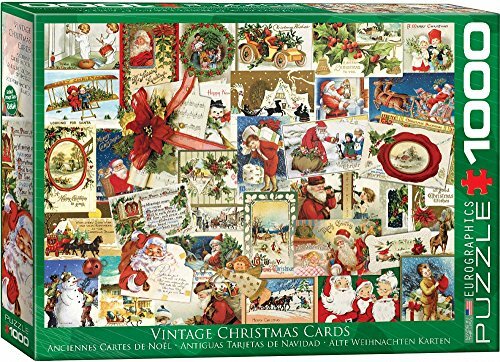 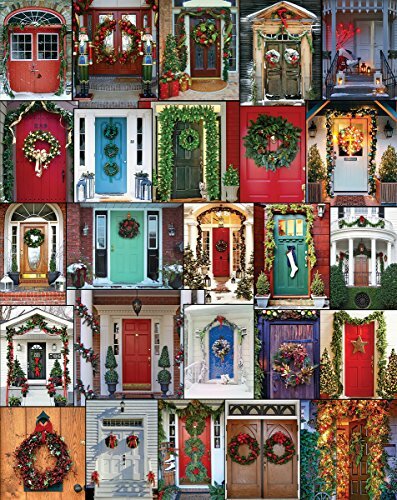 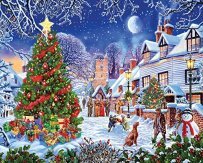 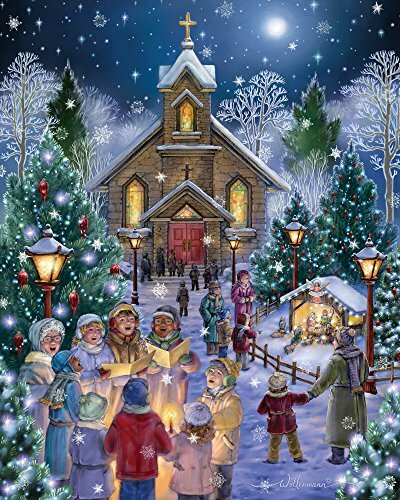 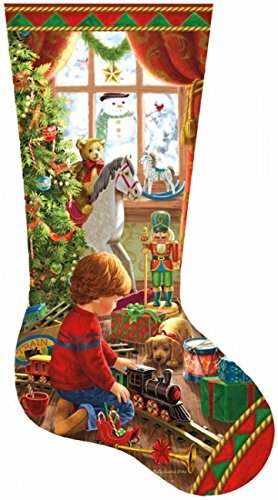 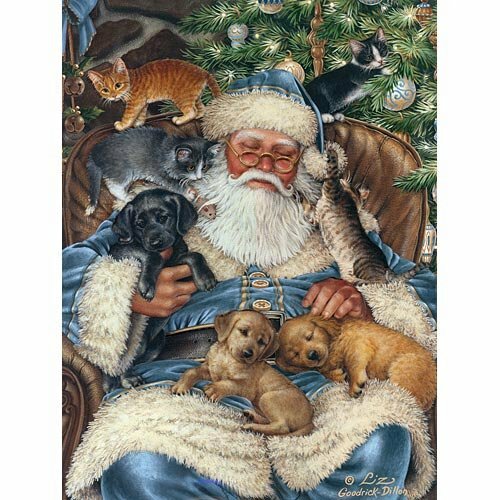 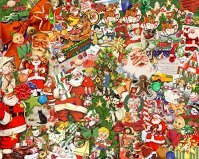 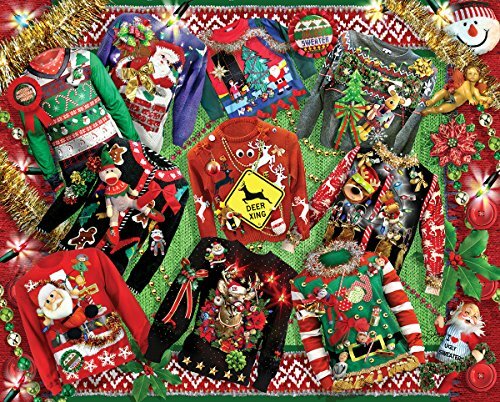 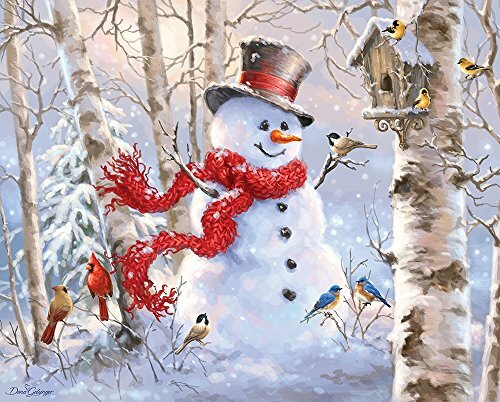 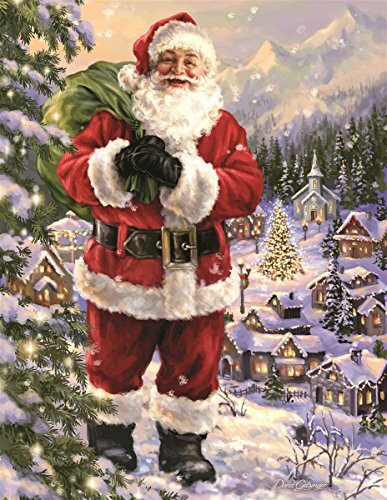 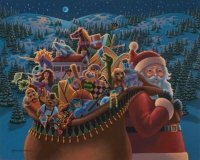 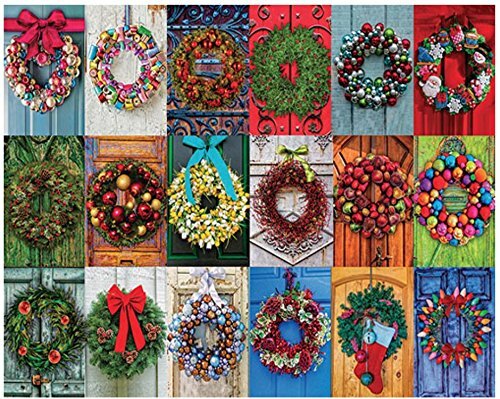 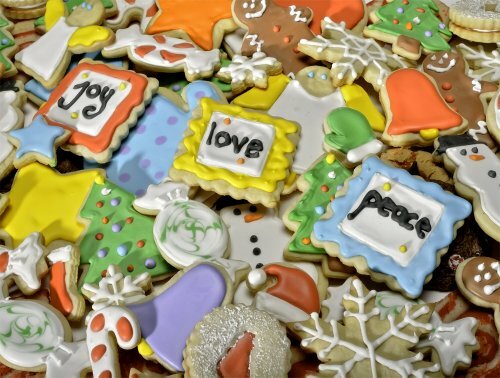 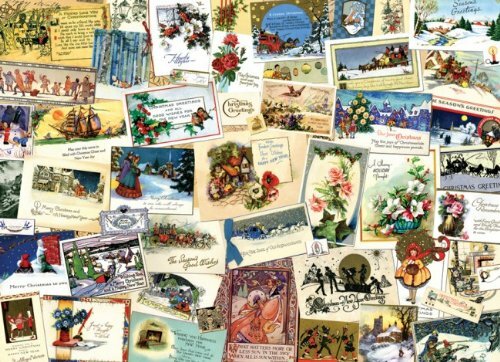 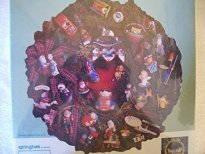 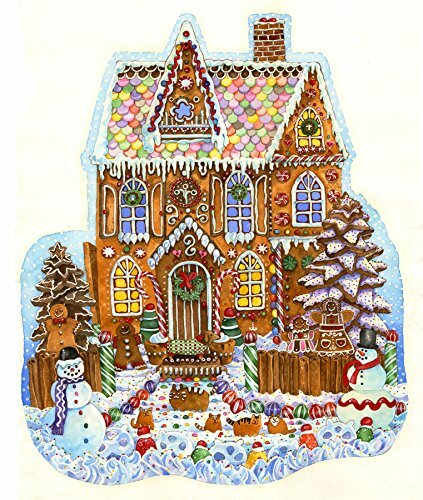 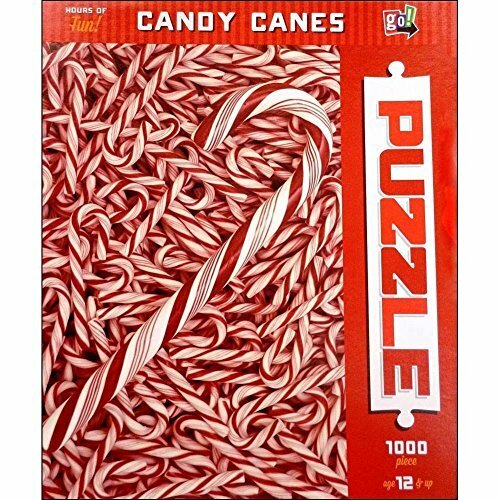 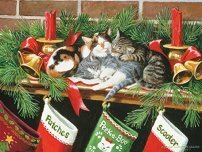 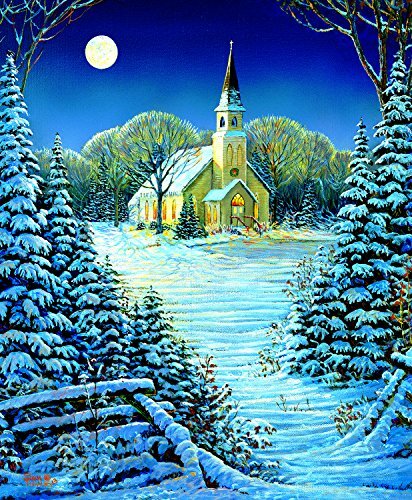 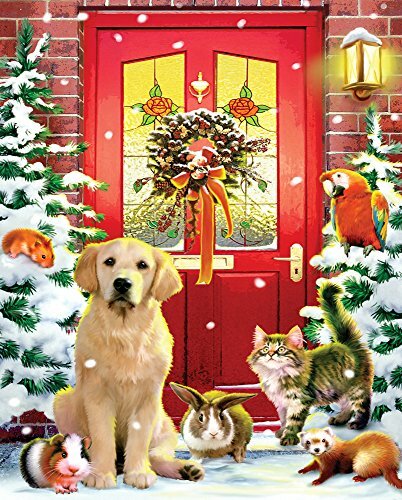 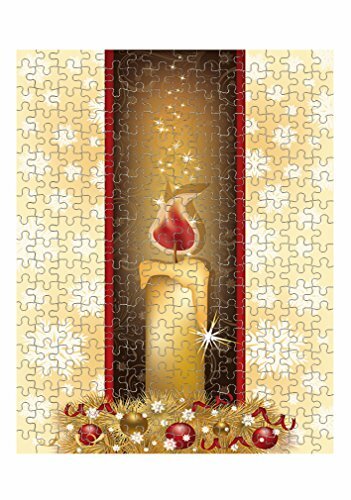 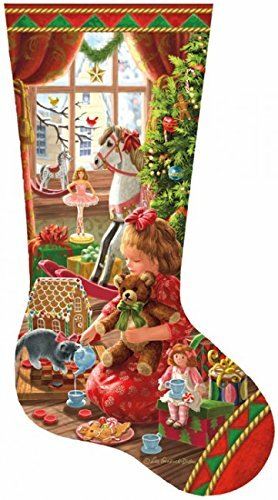 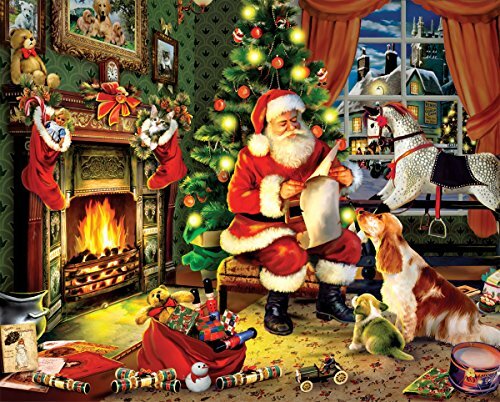 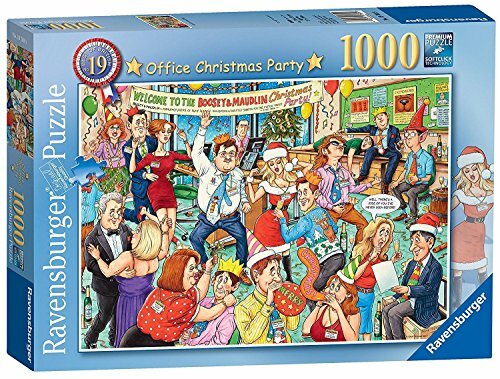 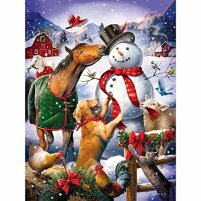 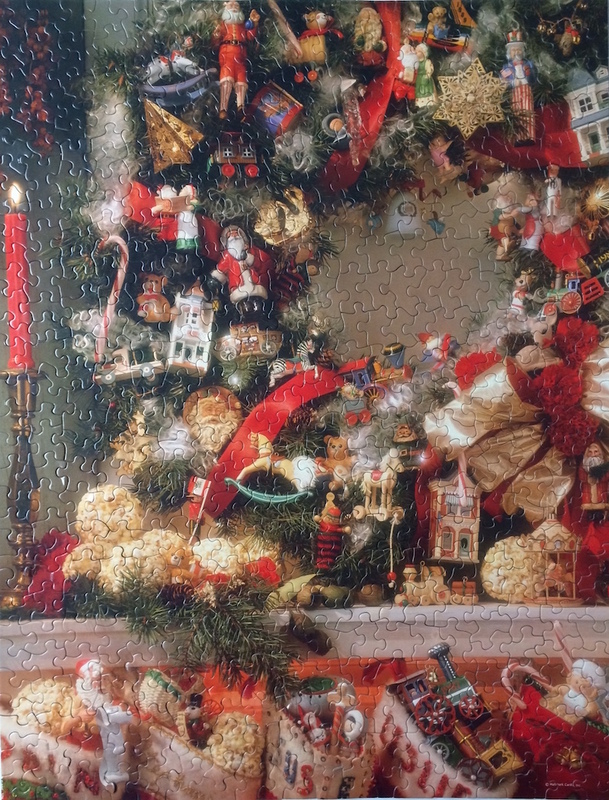 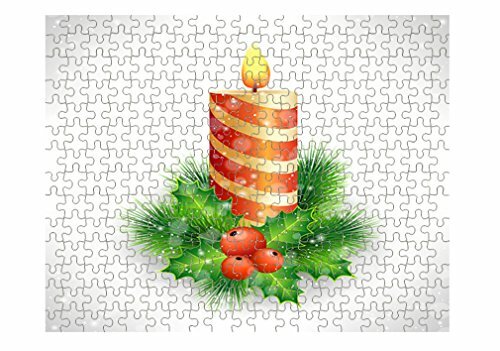 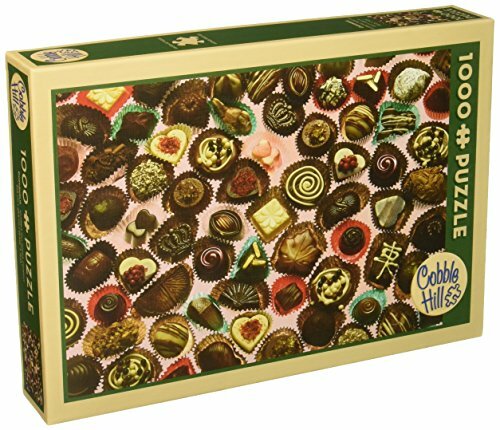 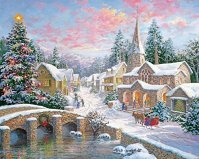 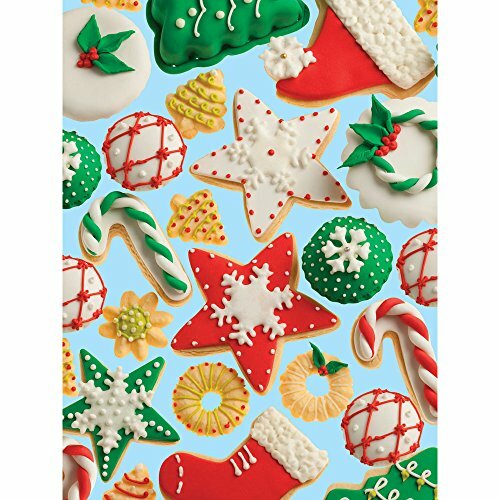 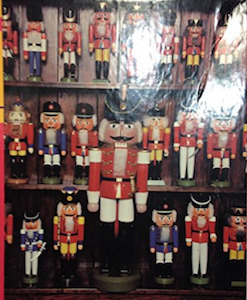 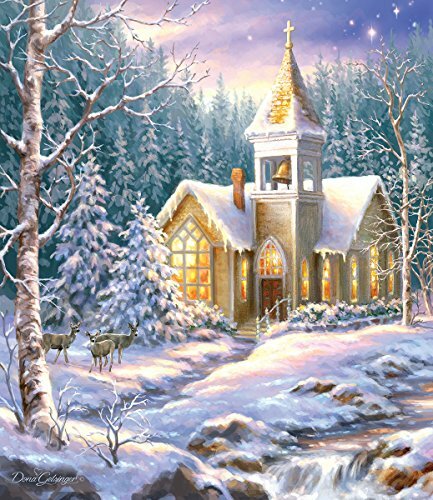 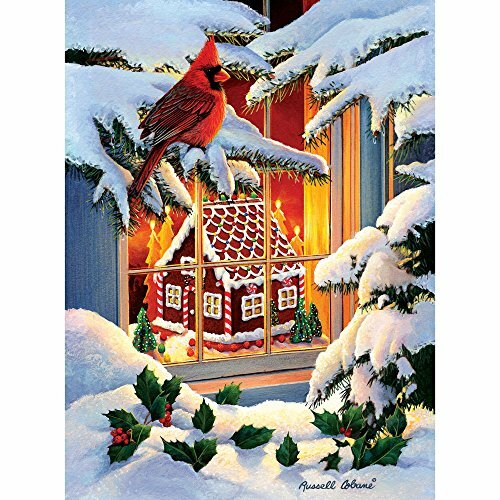 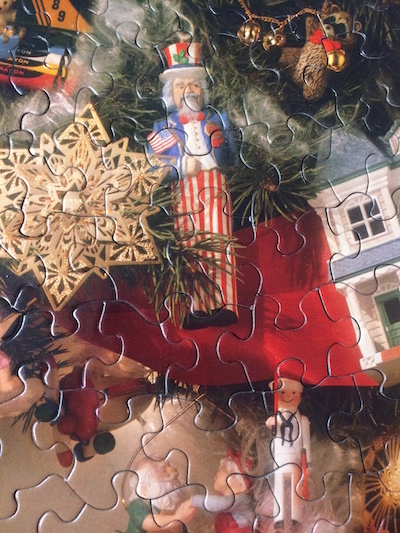 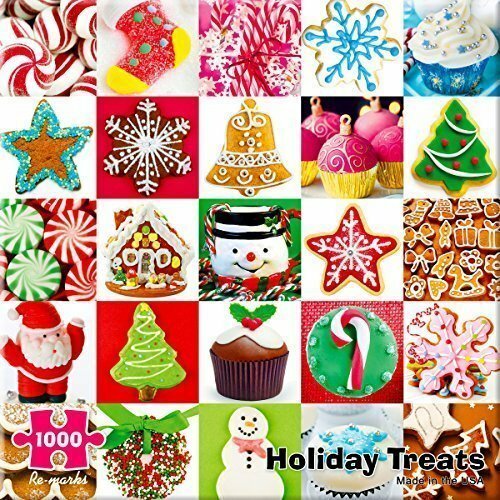 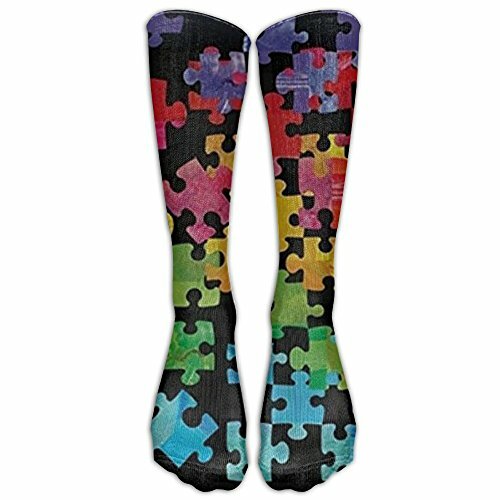 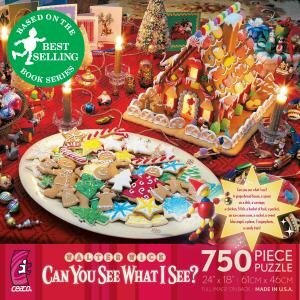 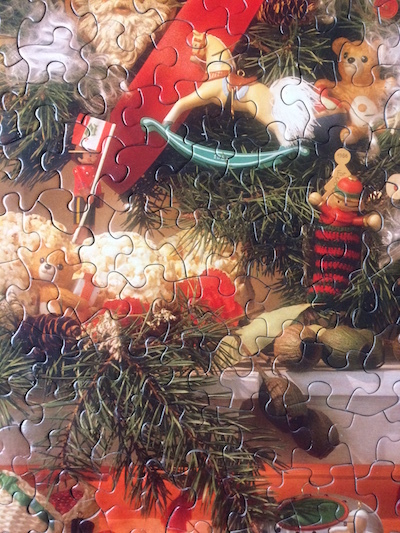 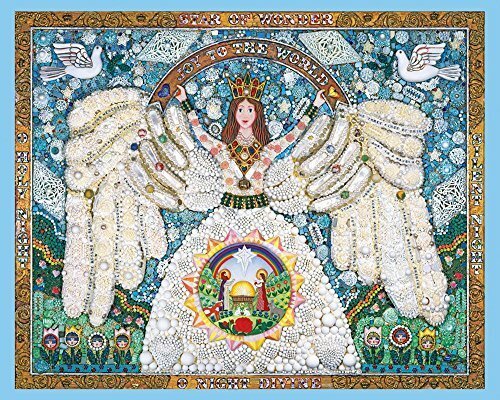 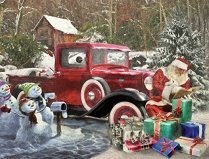 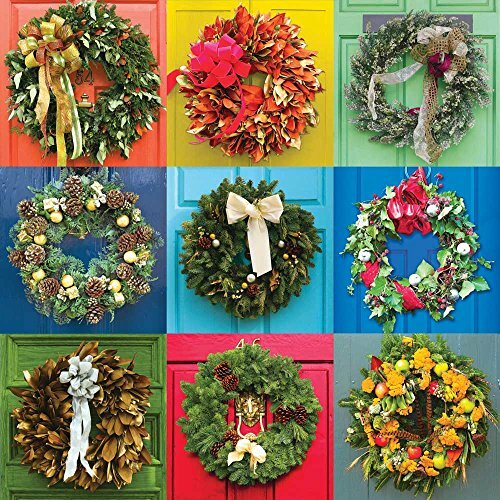 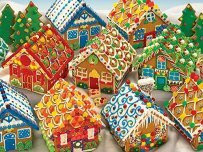 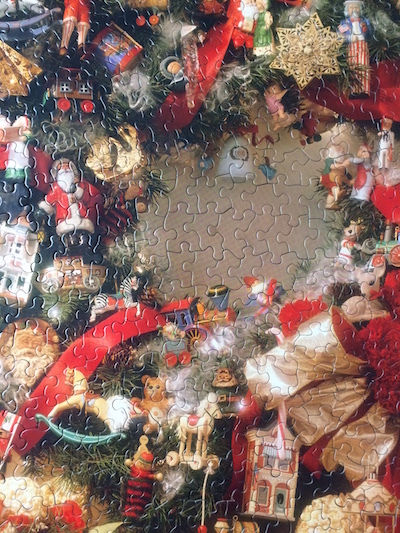 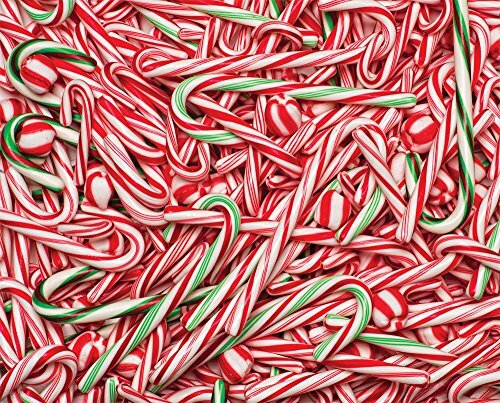 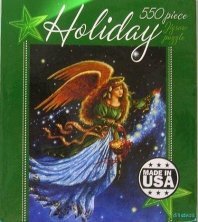 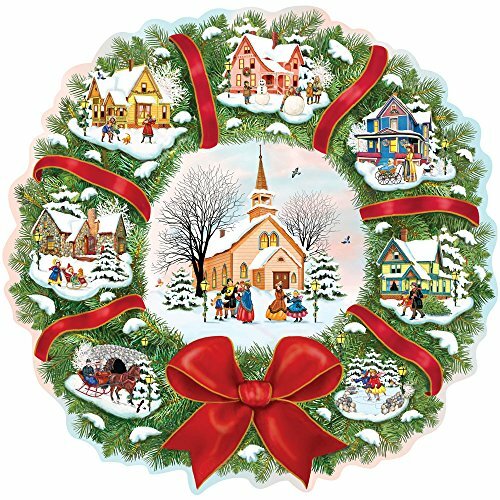 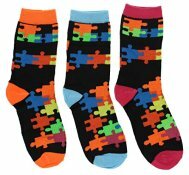 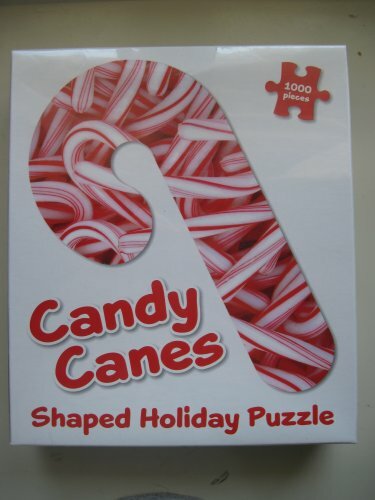 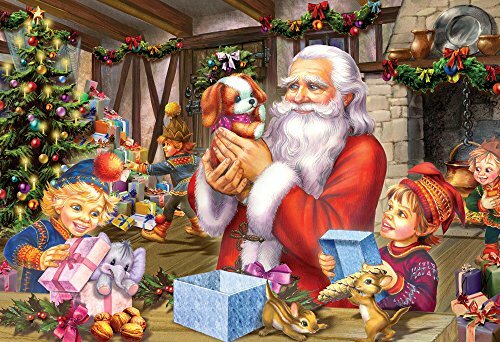 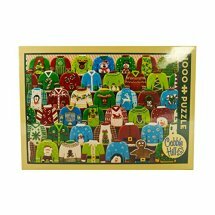 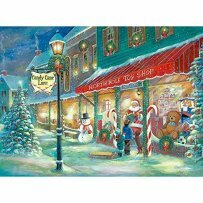 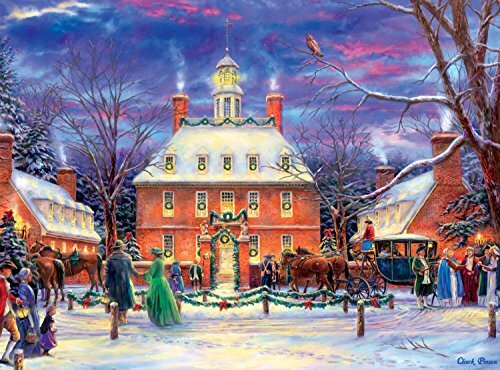 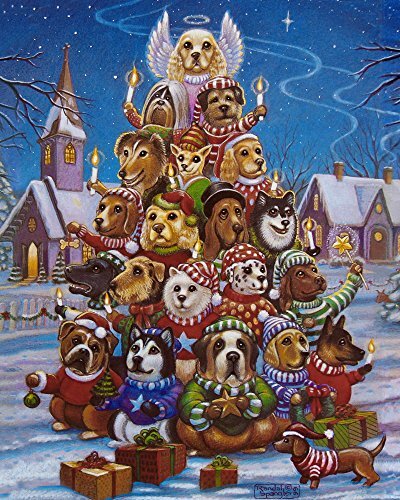 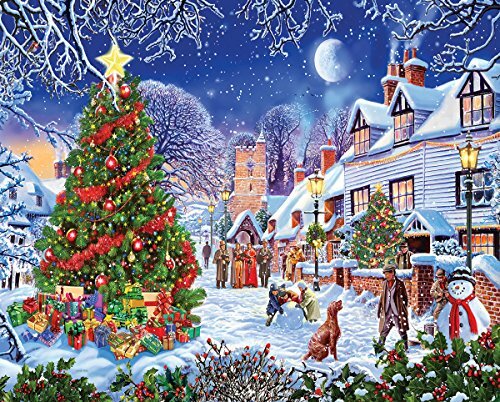 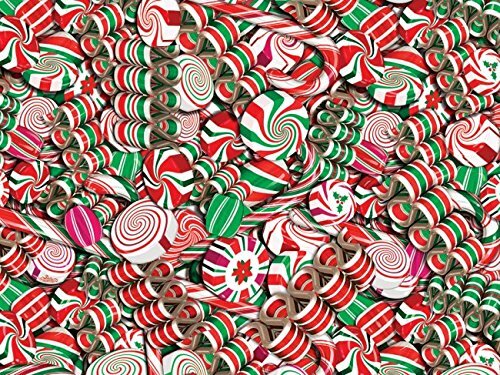 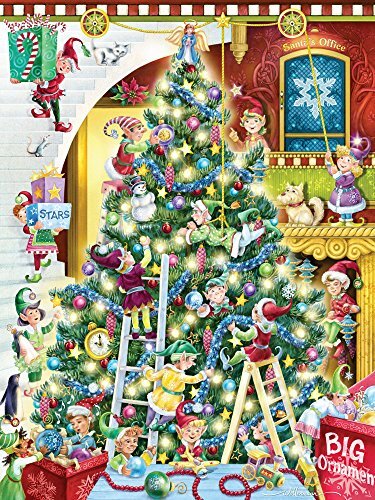 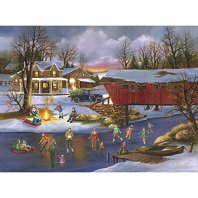 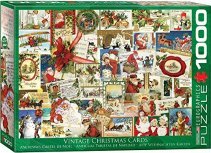 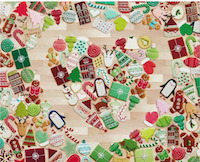 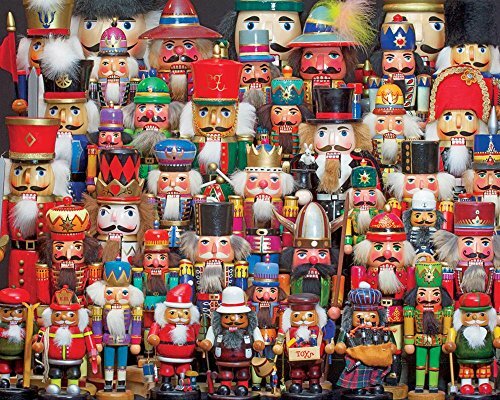 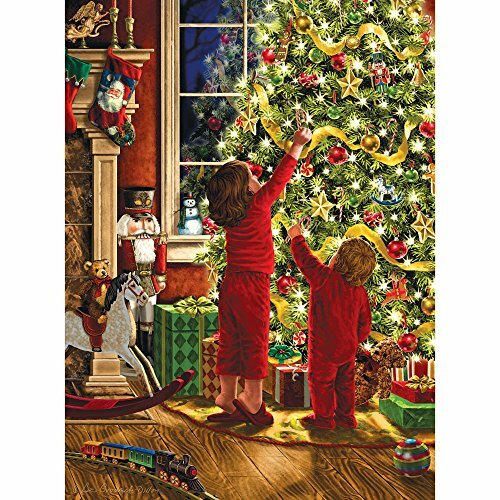 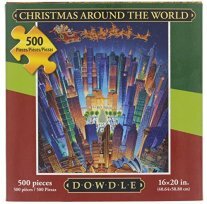 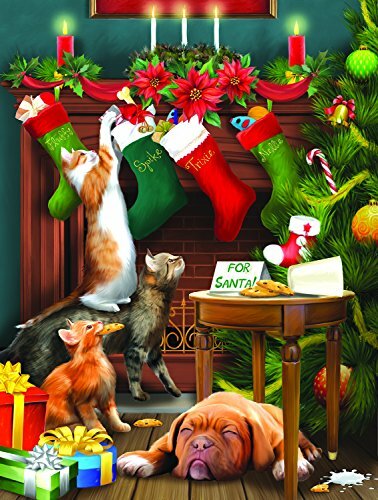 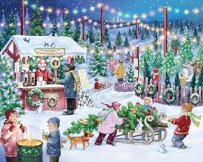 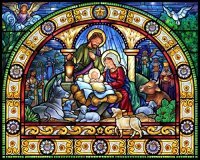 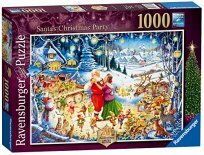 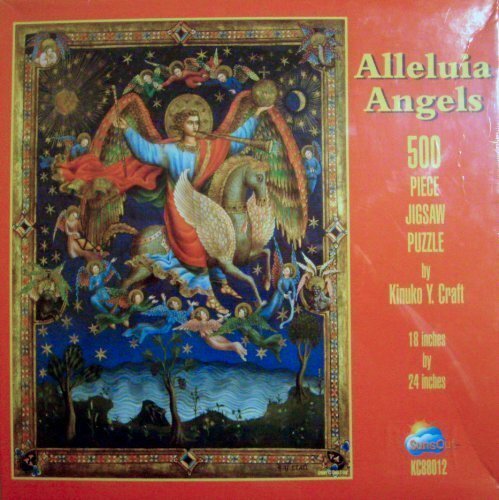 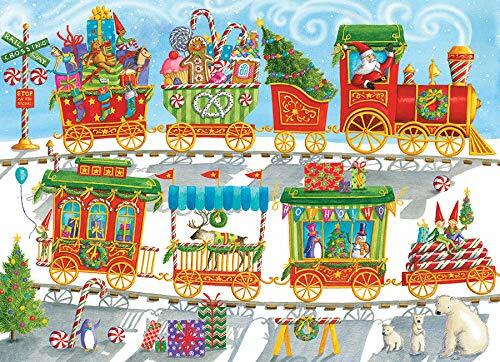 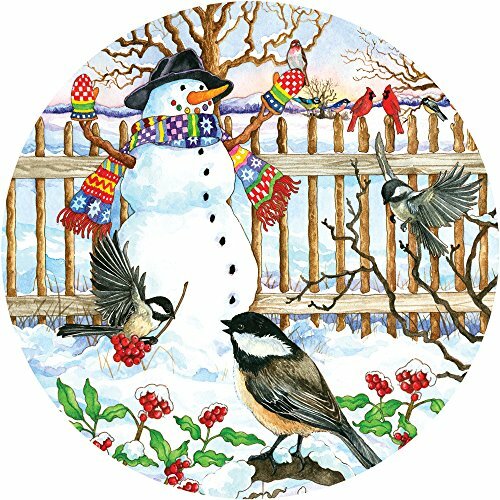 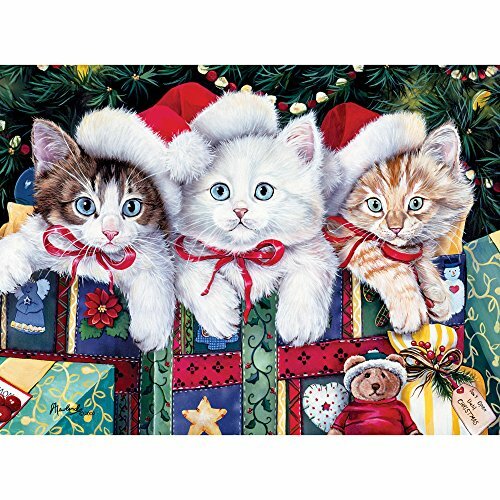 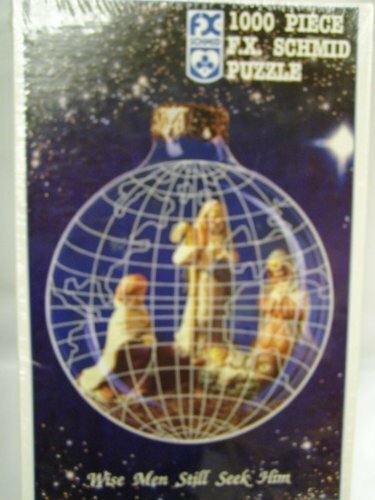 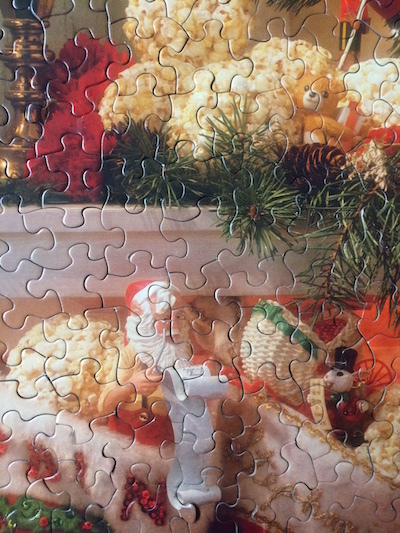 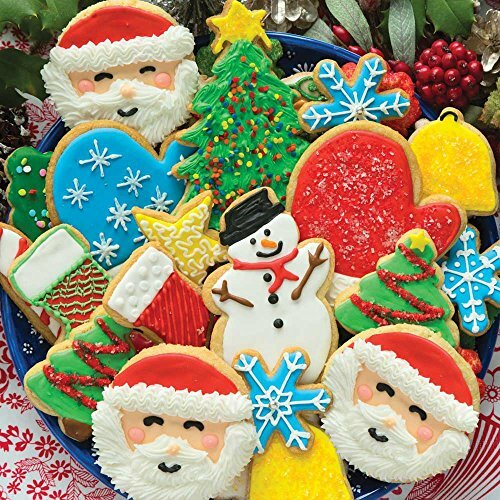 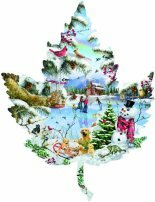 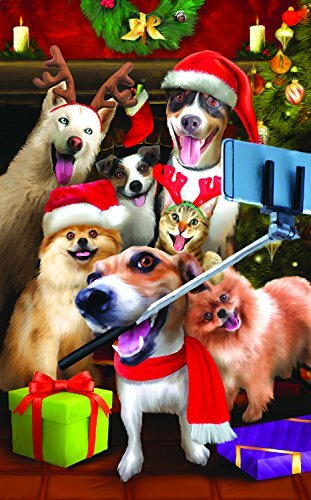 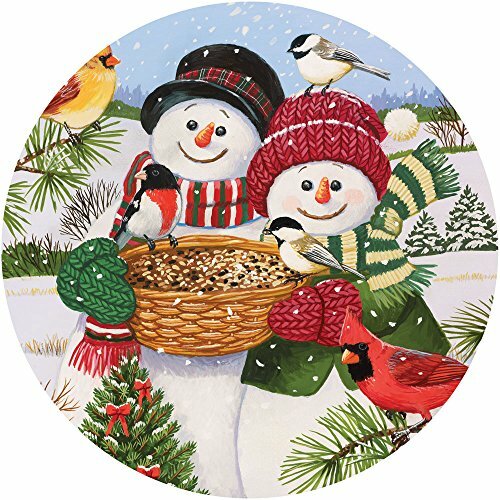 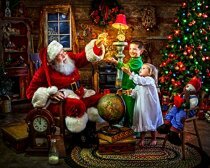 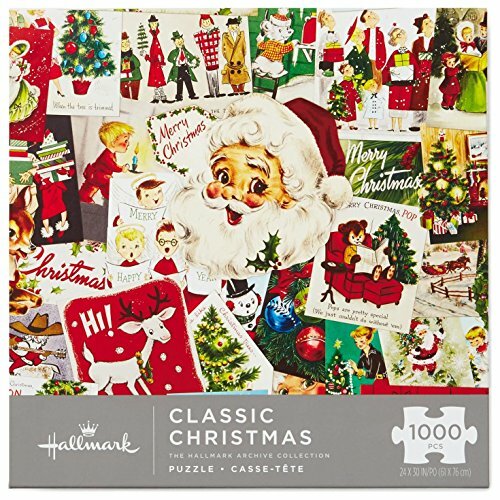 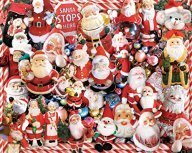 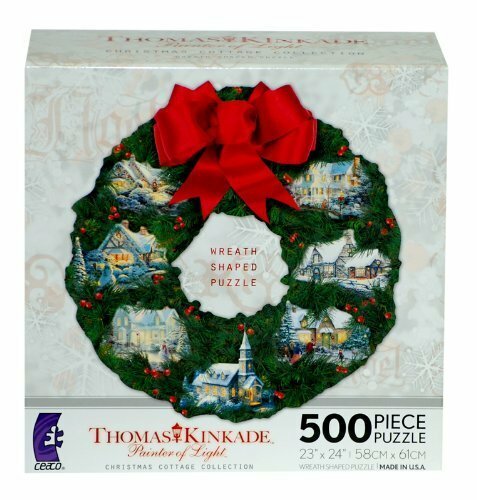 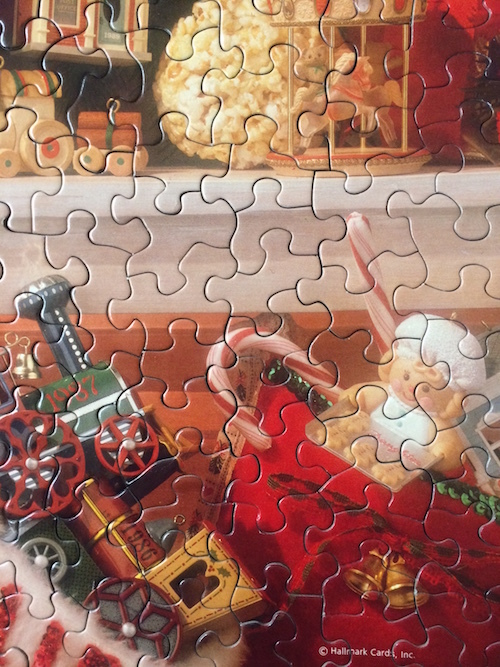 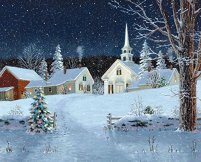 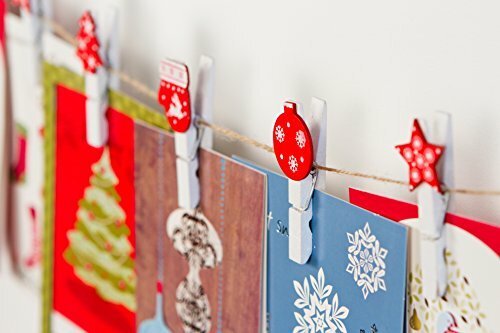 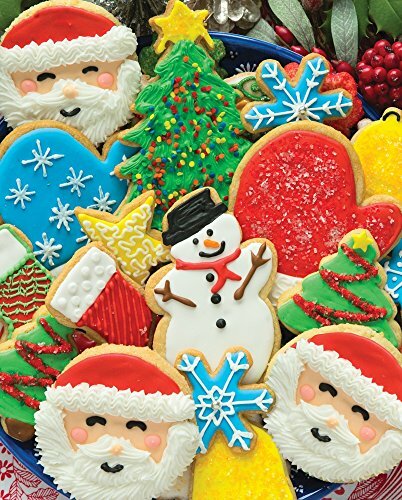 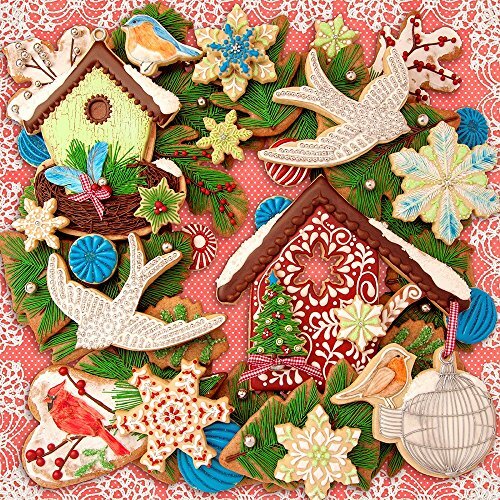 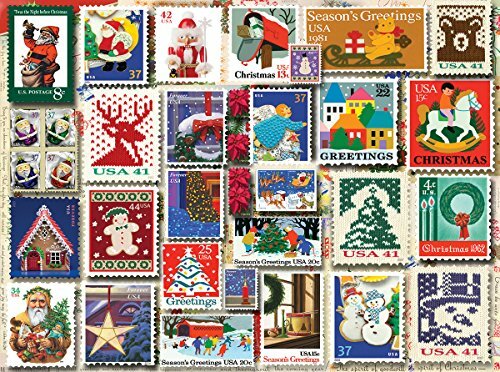 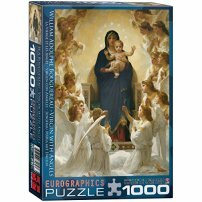 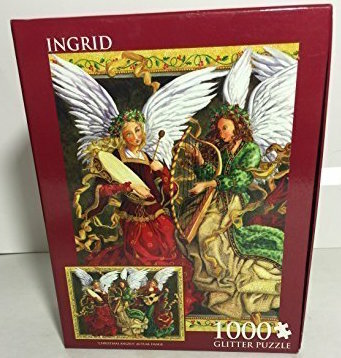 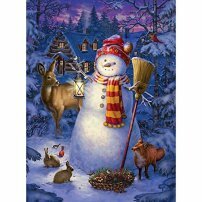 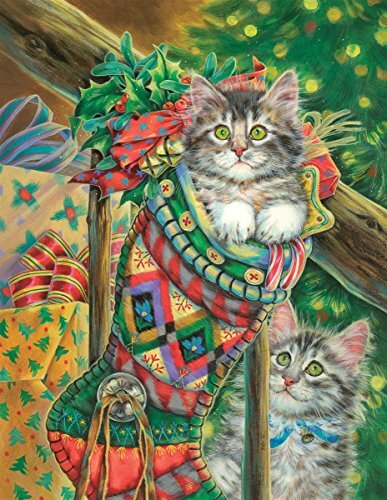 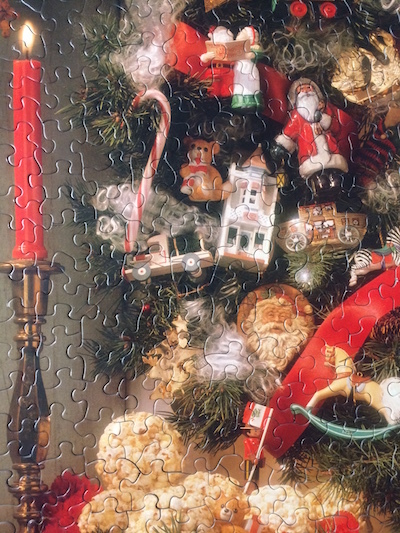 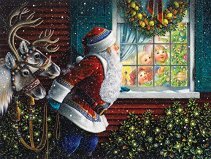 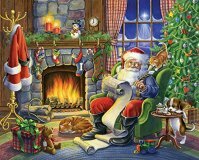 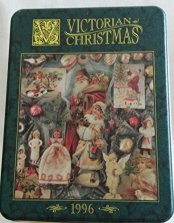 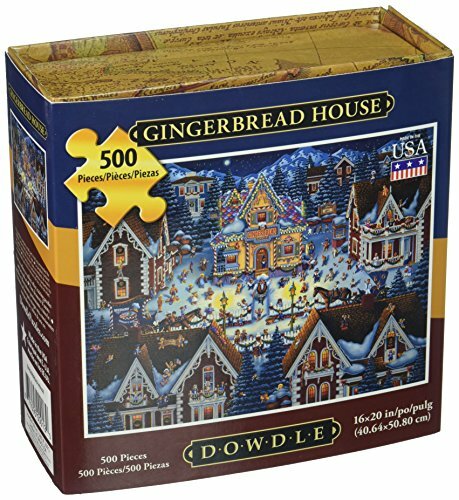 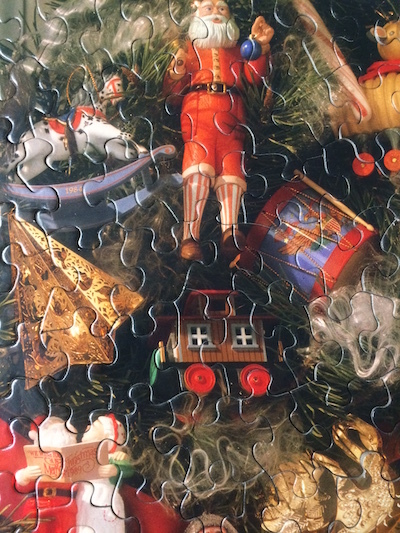 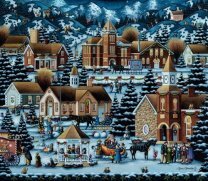 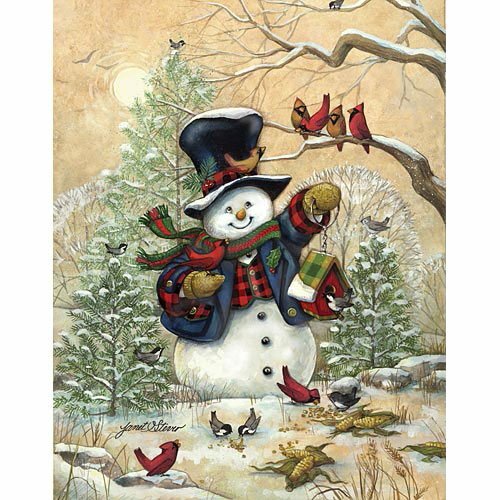 Should you have the opportunity to locate the Christmas Keepsake jigsaw puzzle I highly recommend getting it.